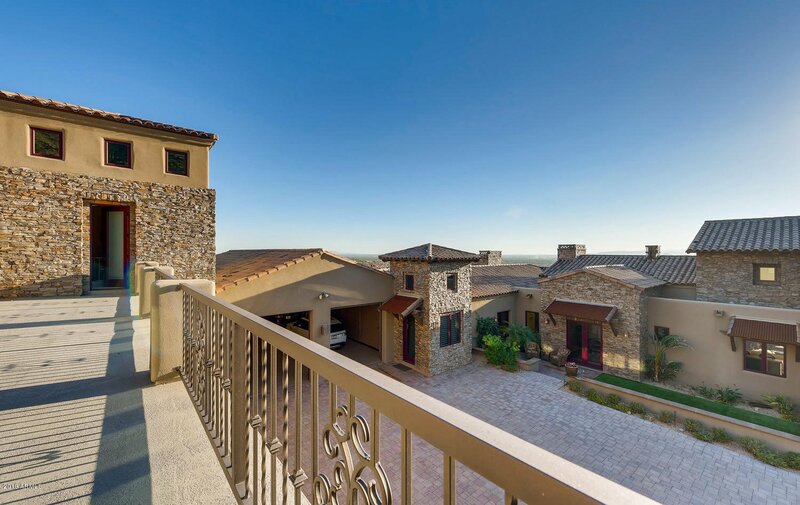 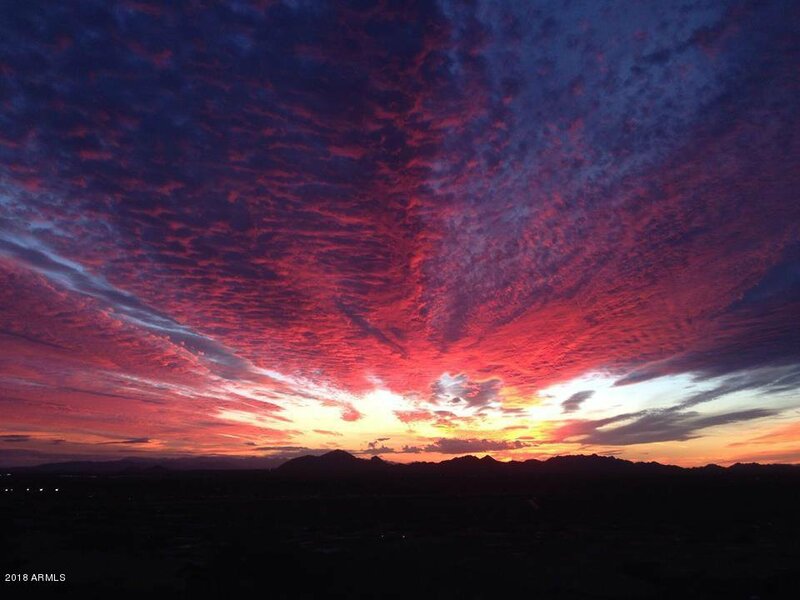 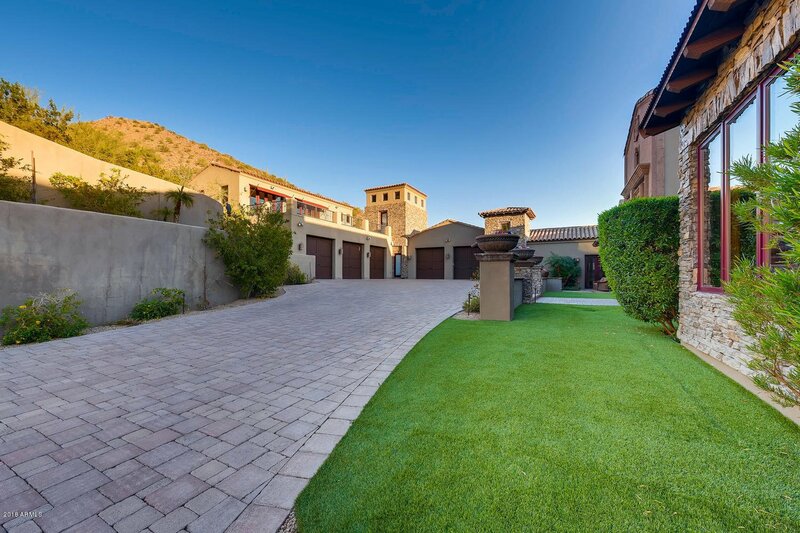 Absolutely exquisite executive home nestled high against McDowell Mountain in the lovely community of Ancala. 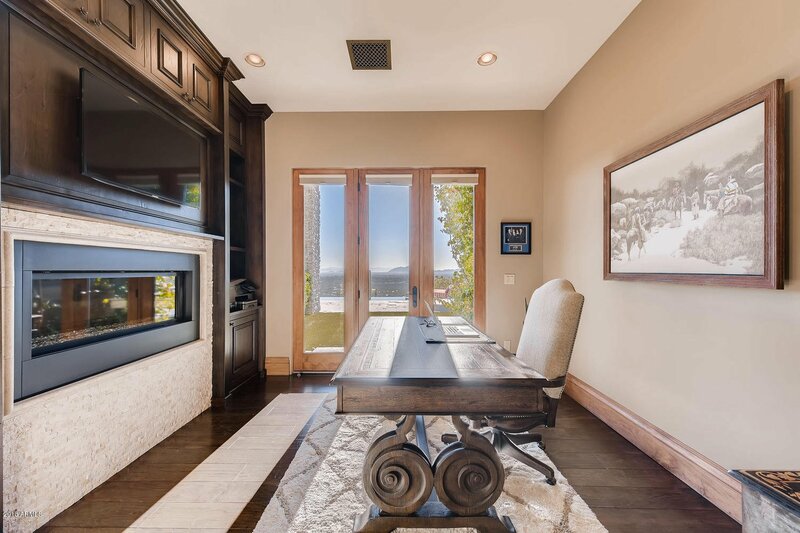 From the privately gated driveway, wind up the hill past the stunning waterfall feature to this beautifully appointed single level home, displaying the best of finishes tastefully chosen by the builder. 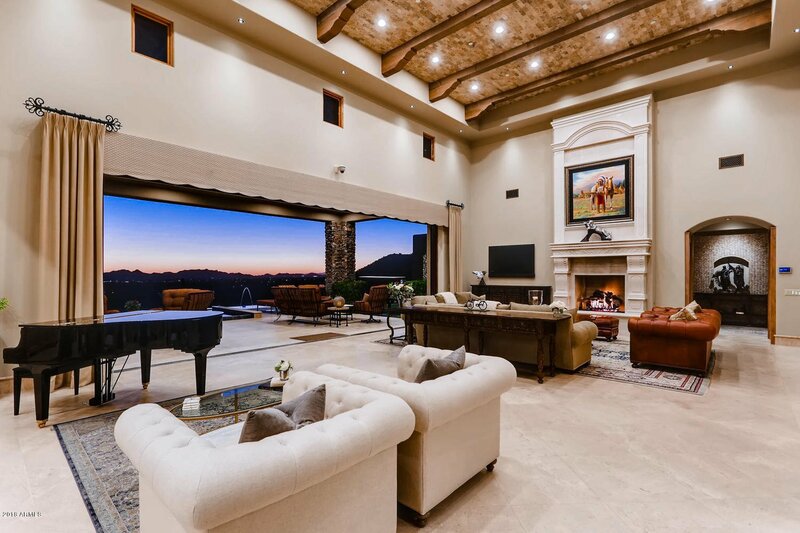 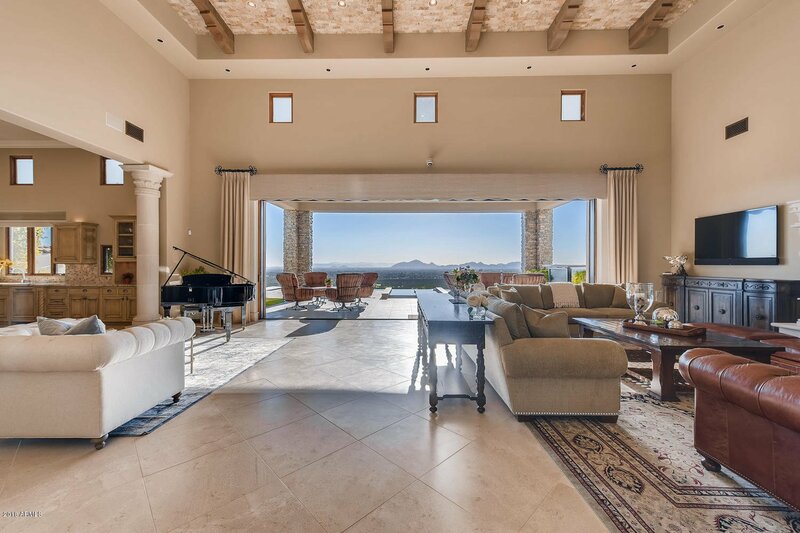 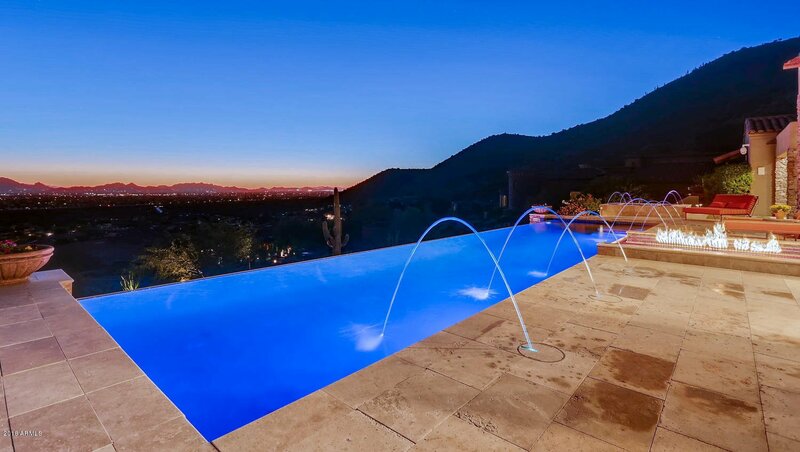 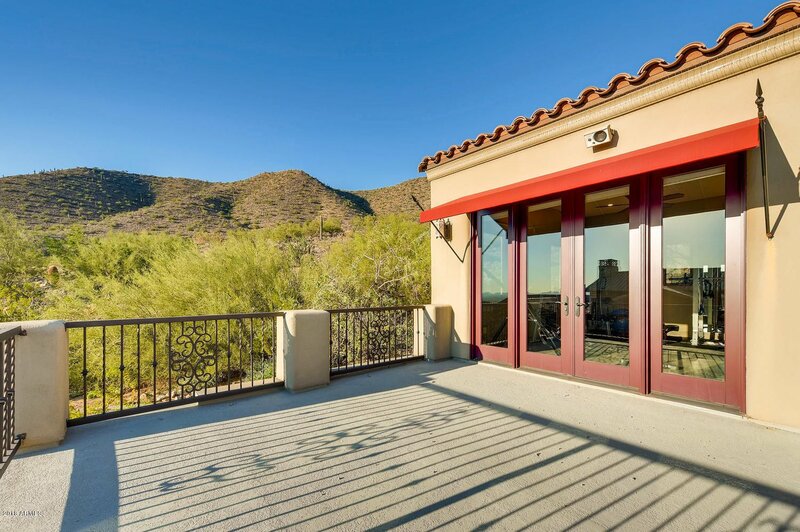 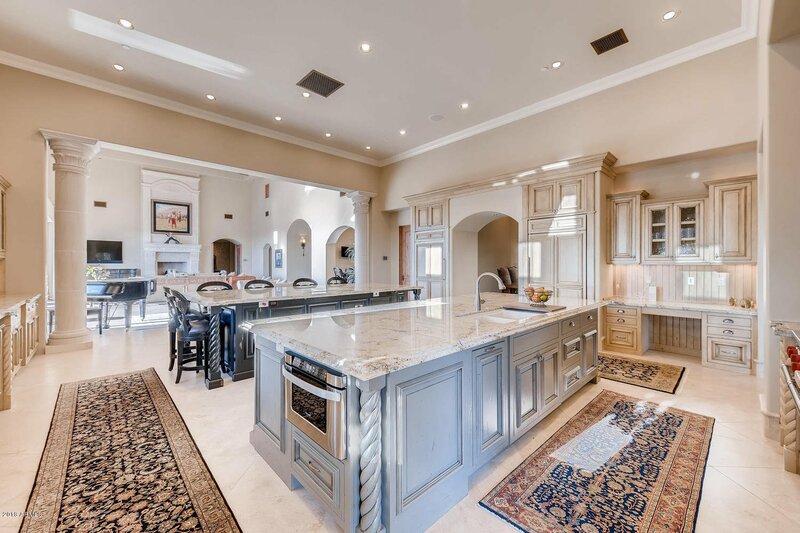 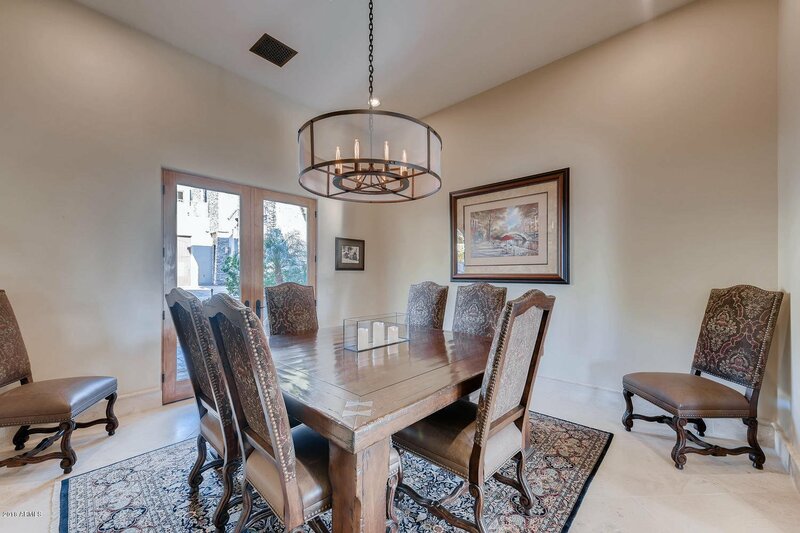 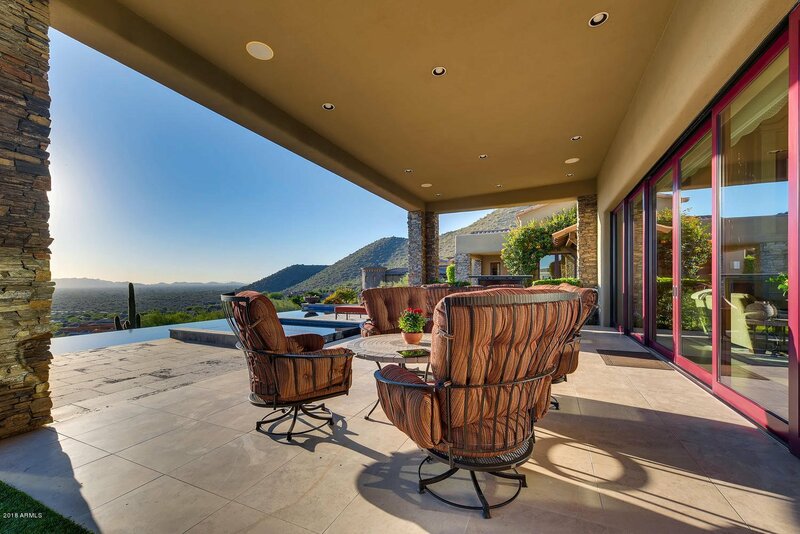 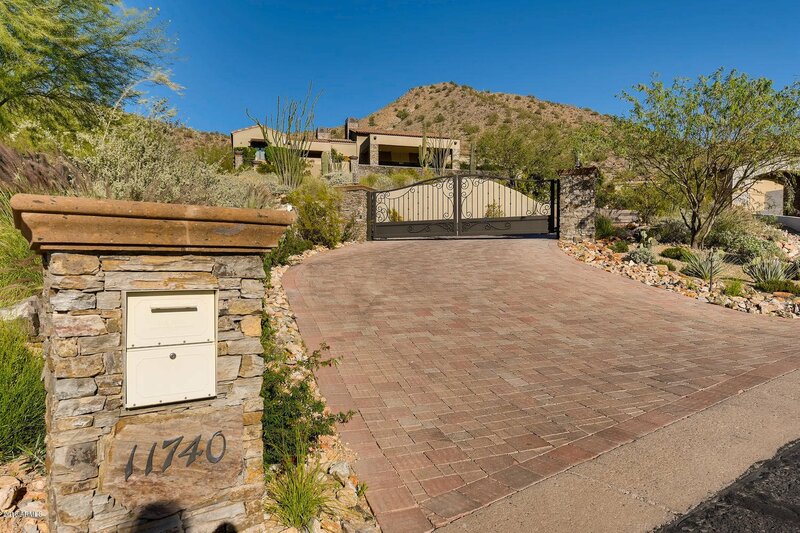 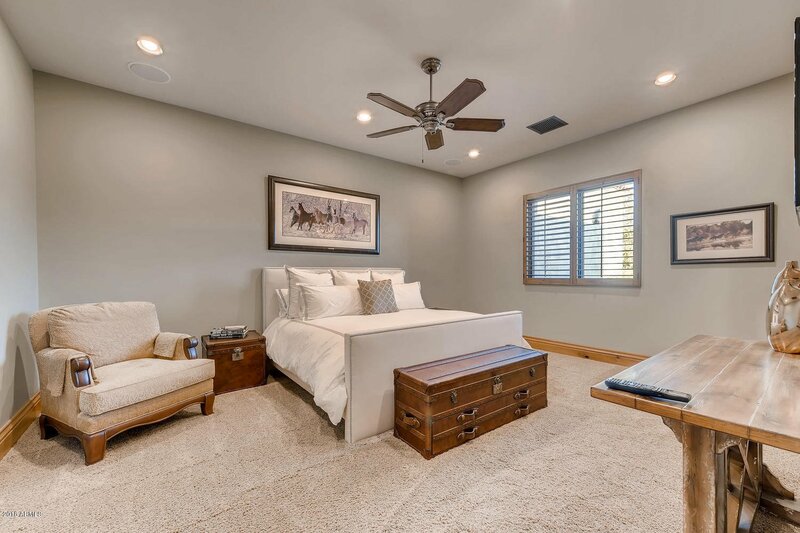 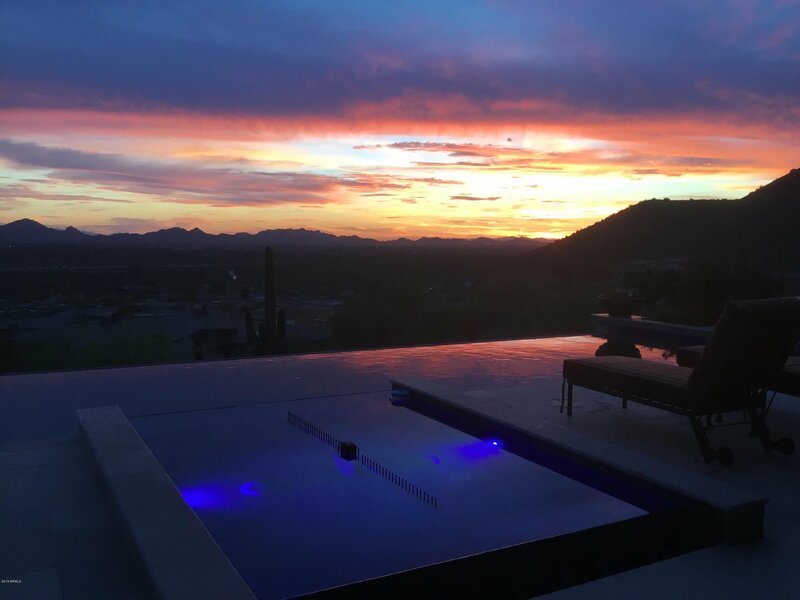 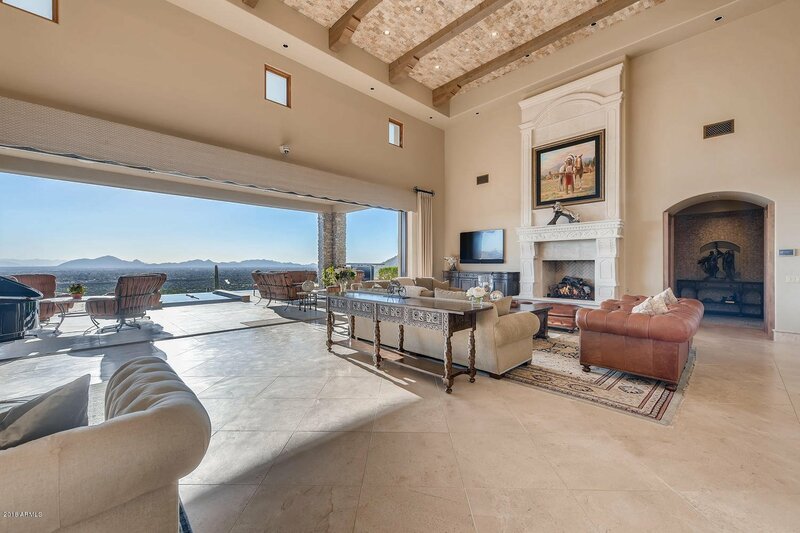 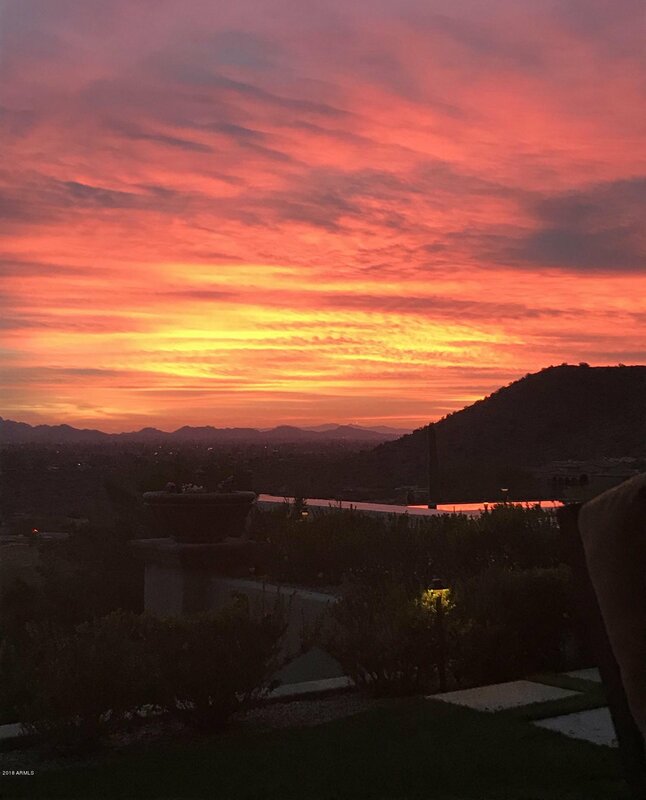 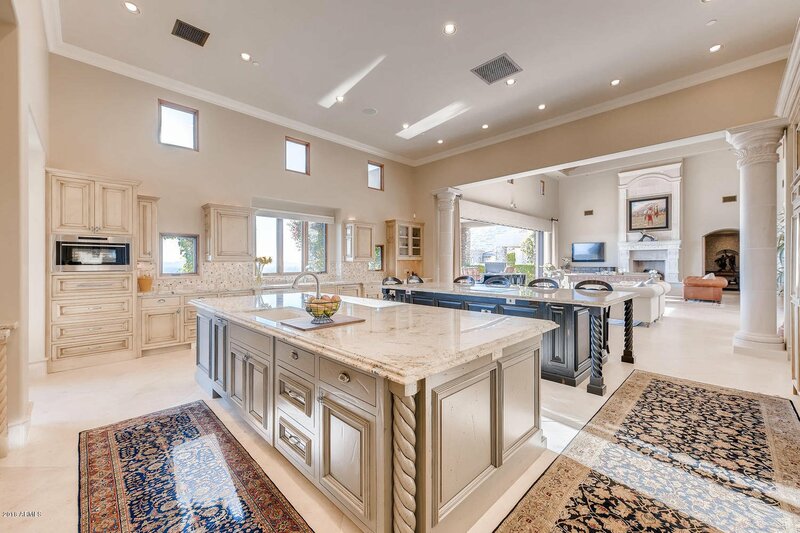 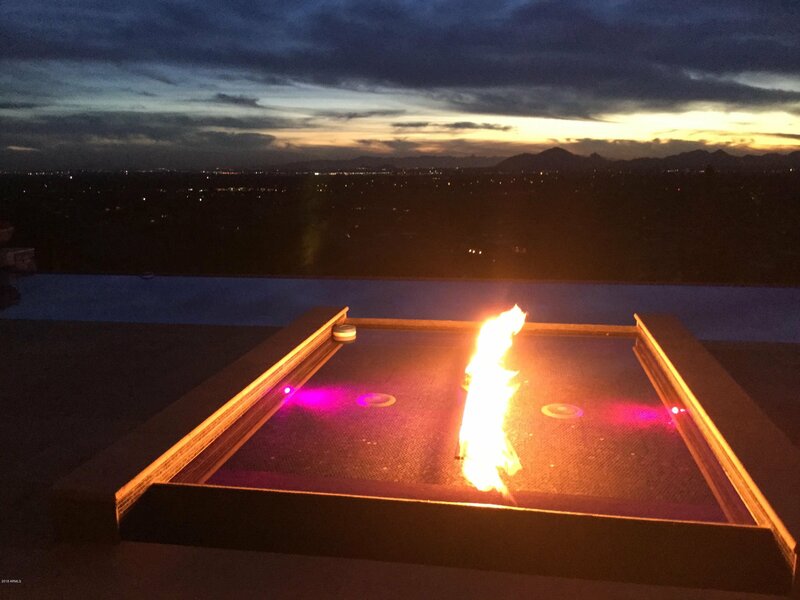 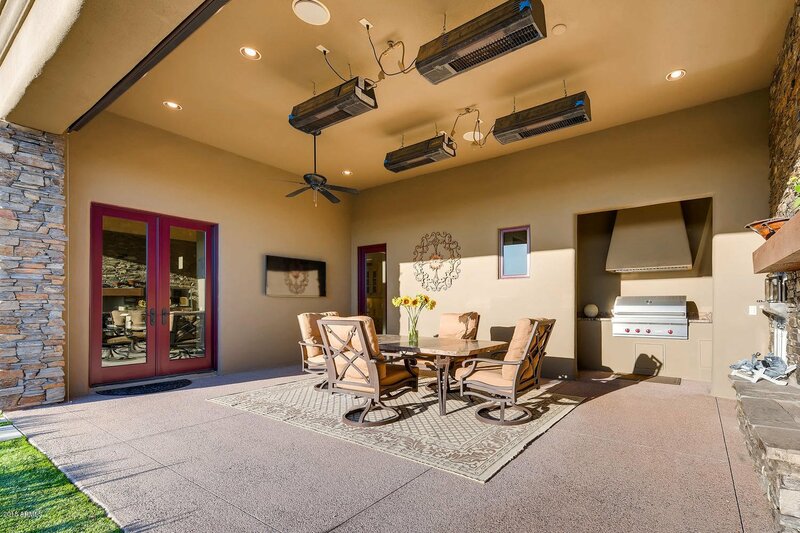 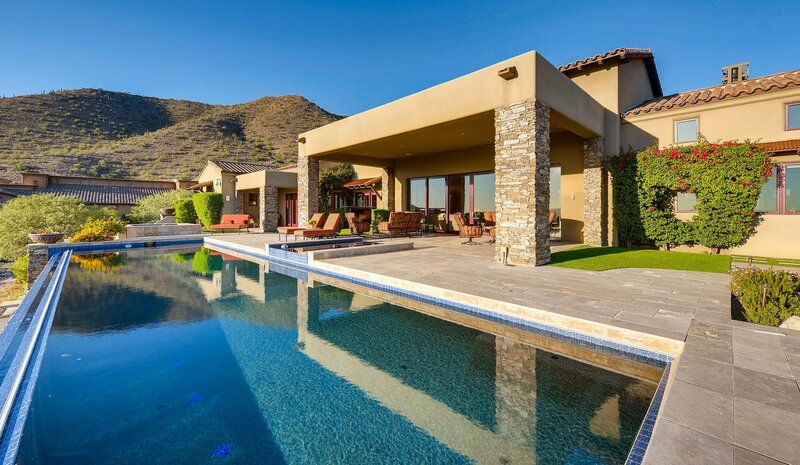 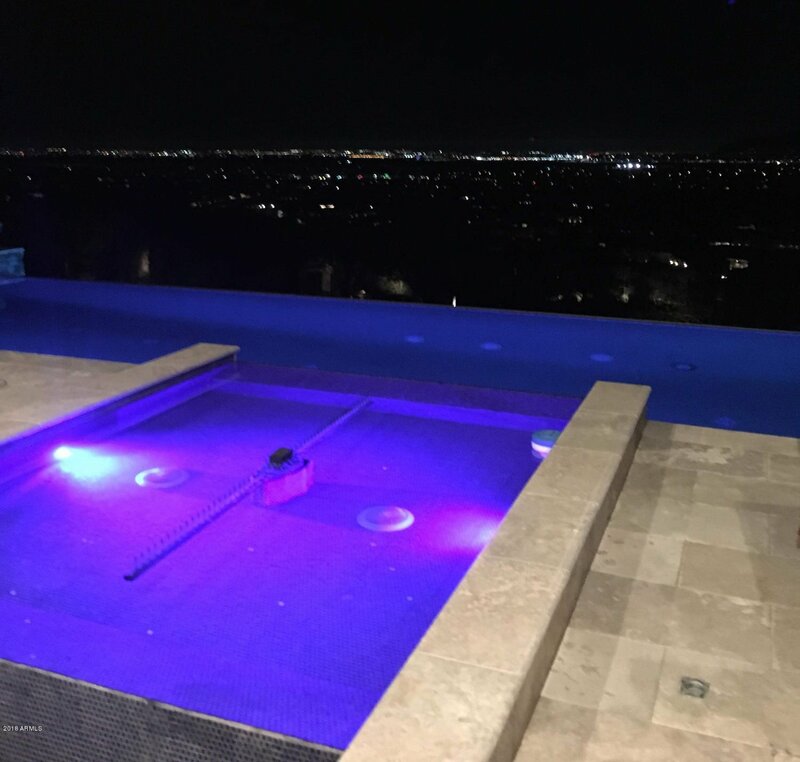 Designed by world renowned architect Erik Peterson, this home sits on arguably the highest and best estate lot in Ancala-3.58 acres-featuring unobstructed expansive views of Camelback Mountain. 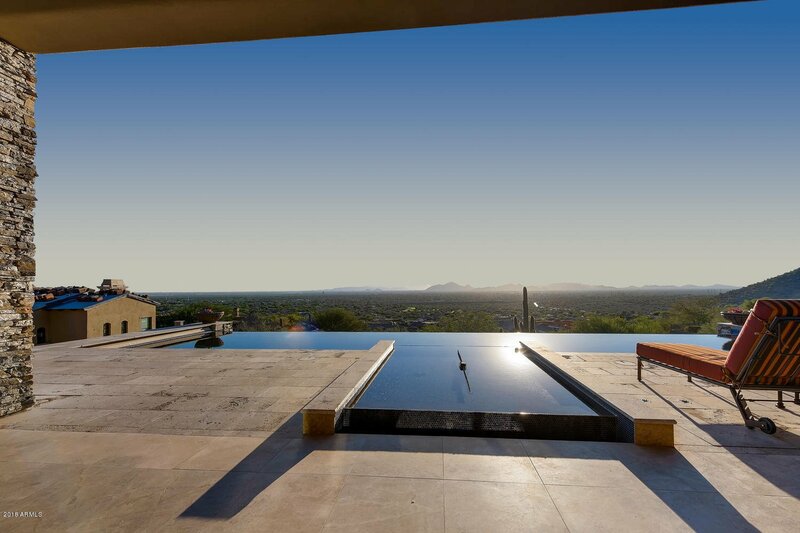 Relax in the 50 foot negative edge pool, spa, or any of the stunning outdoor seating areas. 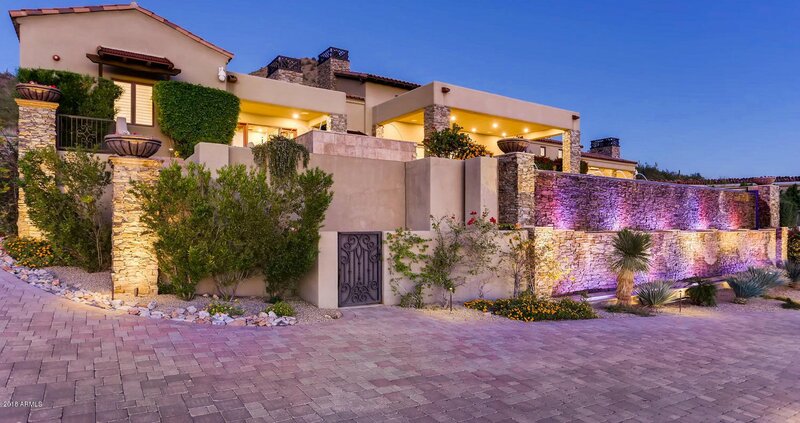 Notice the natural stone accents, extensive use of authentic stacked rock, and lovely landscaping. 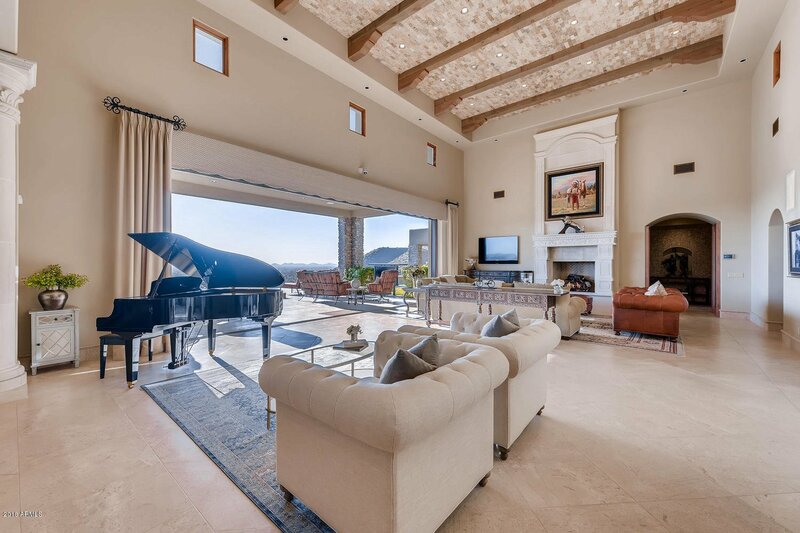 Floor to ceiling retractable sliding doors , 2 massive marble fireplaces, simply amazing. 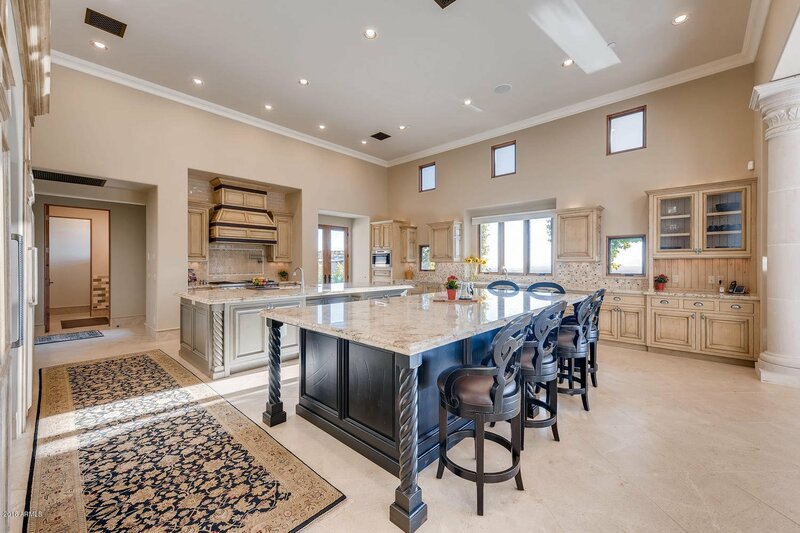 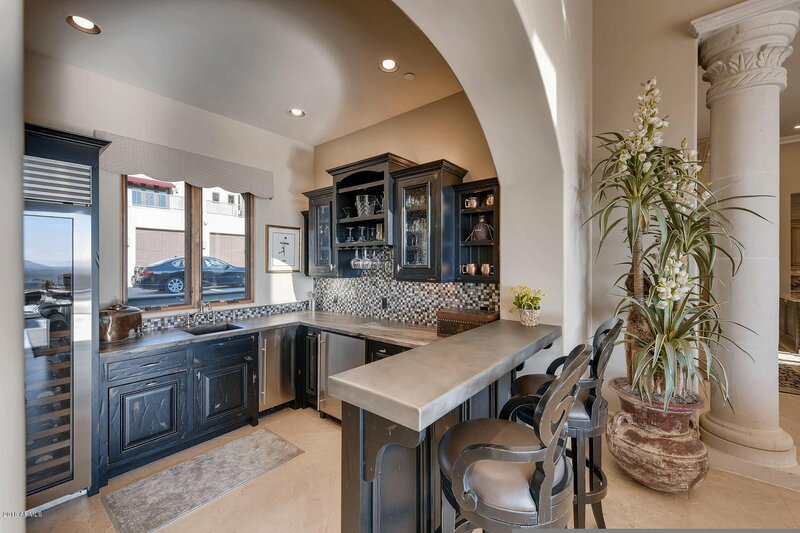 The gourmet kitchen has all the features the discerning cook would expect: Wolff gas stove, Sub-Zero refrigerator, retractable hibachi grill in massive island, two dishwashers. 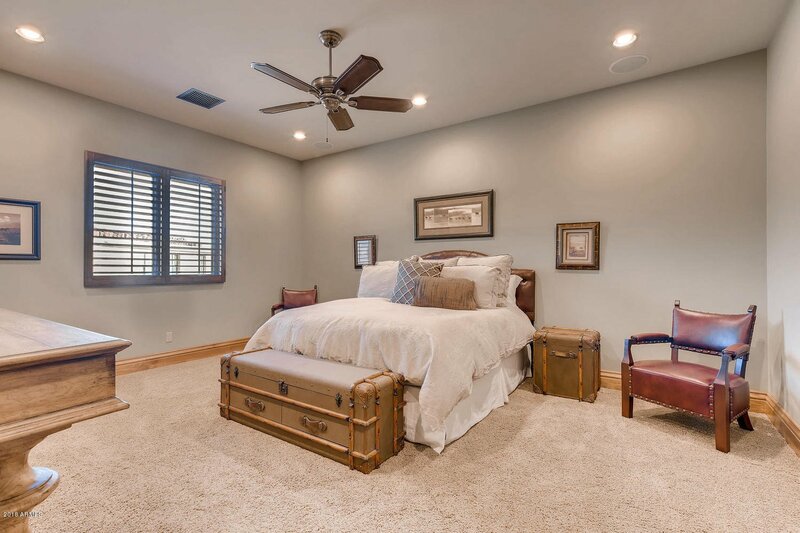 Master bedroom is lovely with second of two marble fireplaces, outside access to patio and spa. 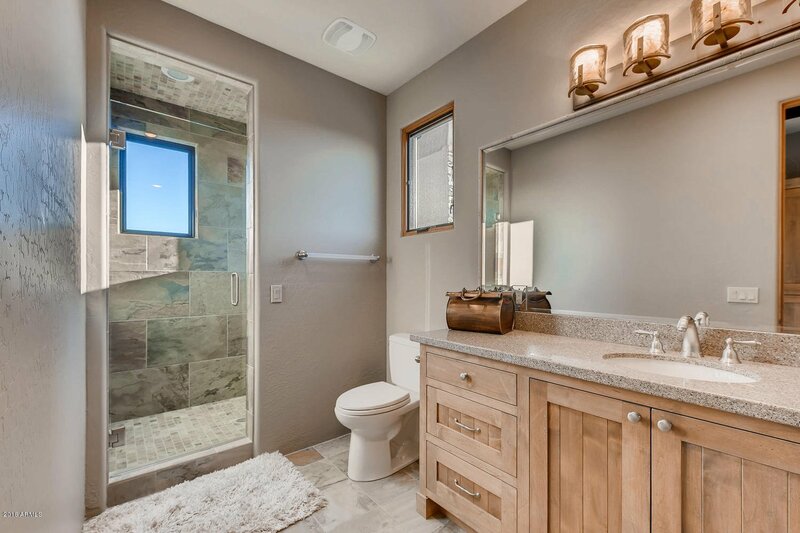 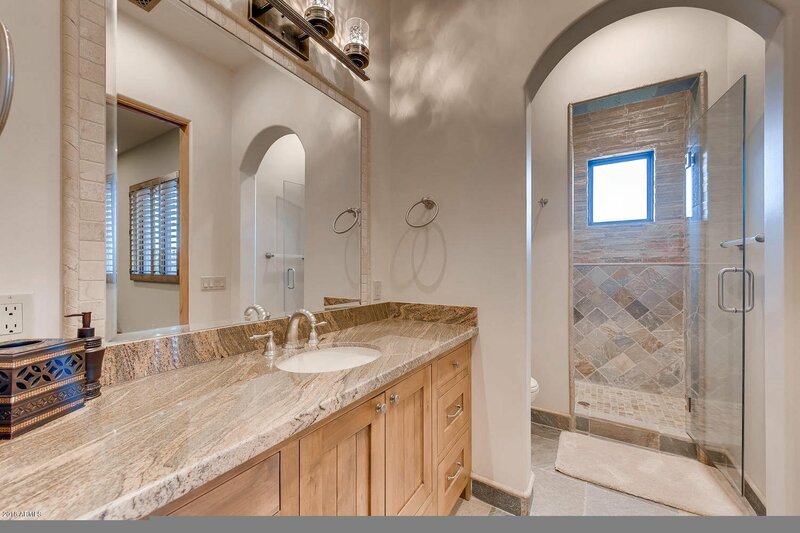 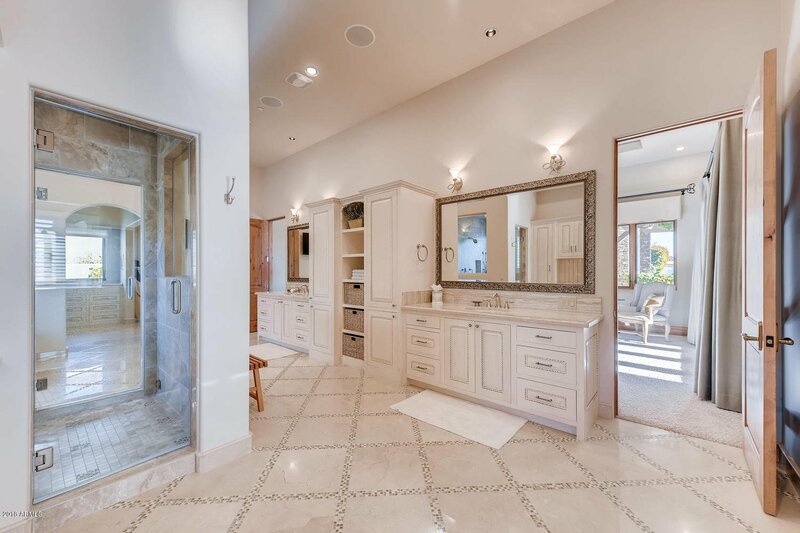 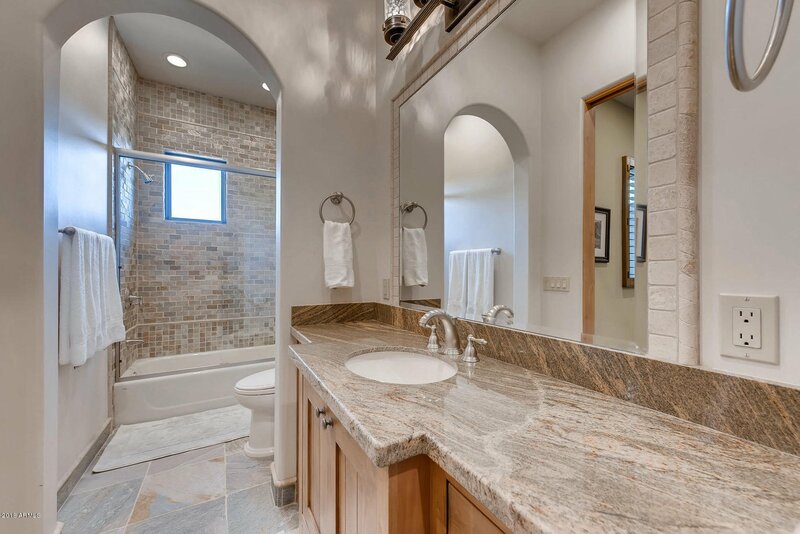 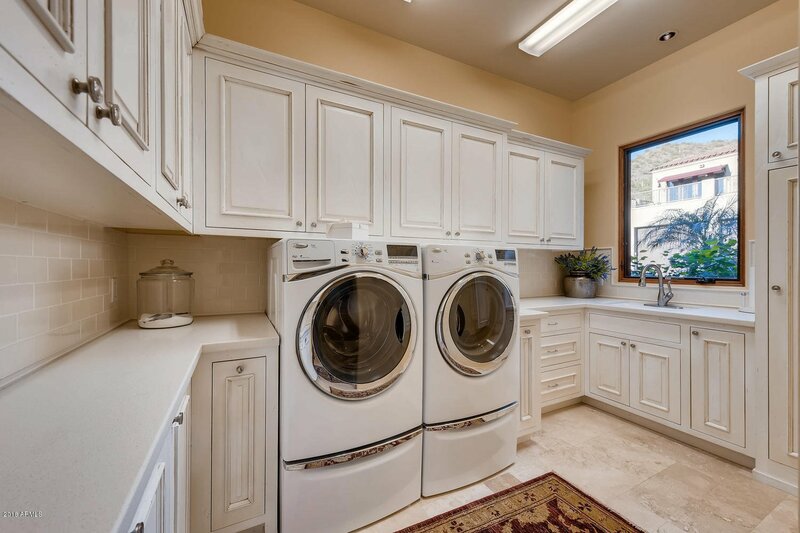 Huge master bath with lavish finishes--two huge separate closets, separate sinks, separate closeted commodes. 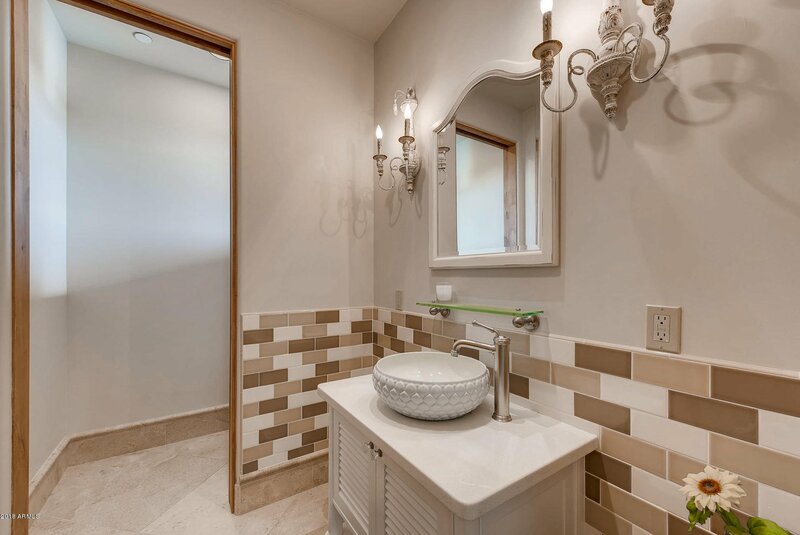 All secondary bedrooms are en suite. 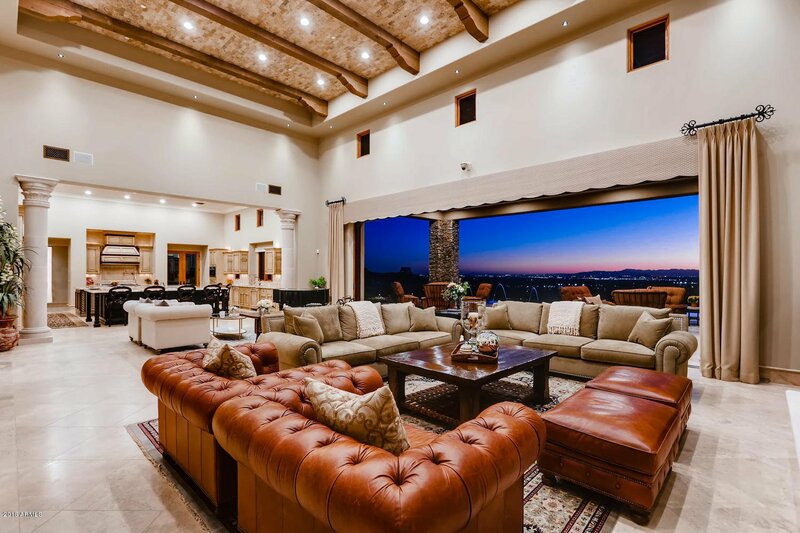 Additional amenities include theater room, office with fireplace,plaster ceilings and stunning chandelier in entryway, wet bar with zinc countertops and wine refrigerator. 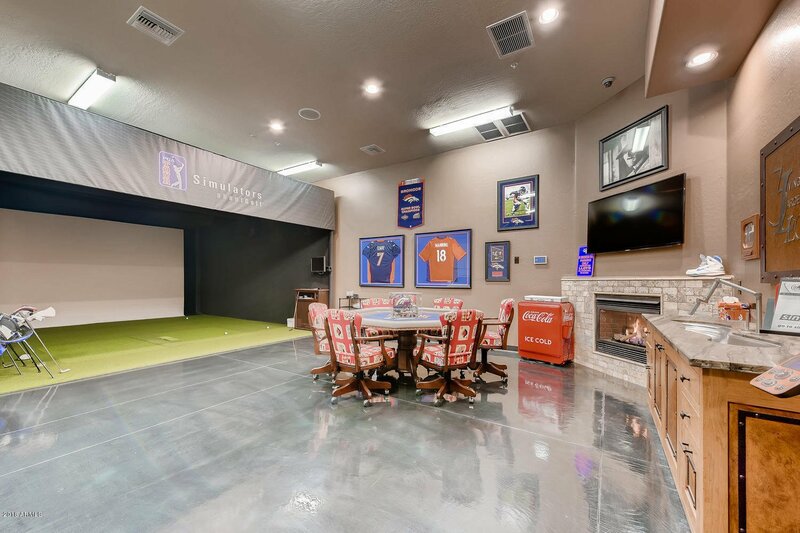 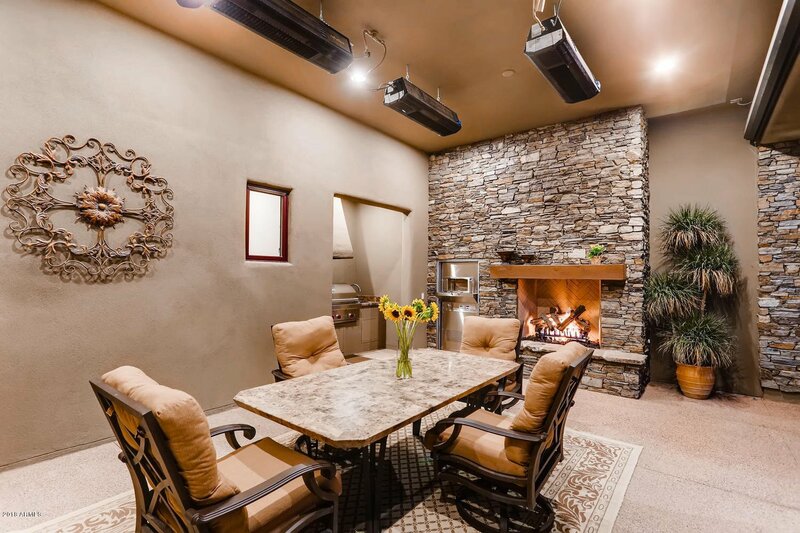 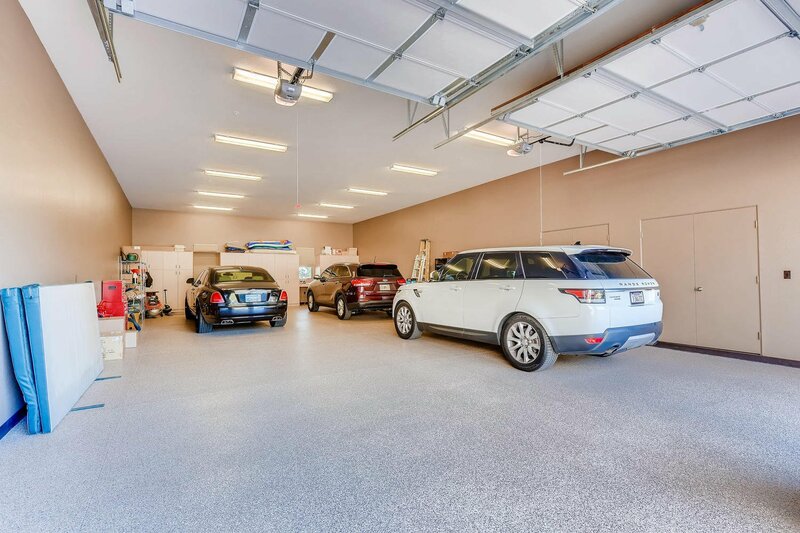 Did I mention the fabulous man cave with fireplace, golf simulator, and two garages with room for 8+ cars? 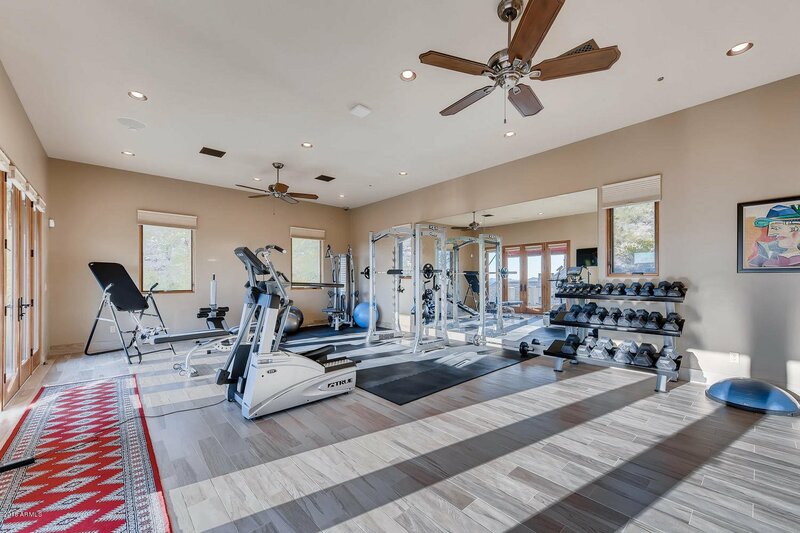 Guest house is currently used as a large gym, with sink, refrigerator, and bathroom. 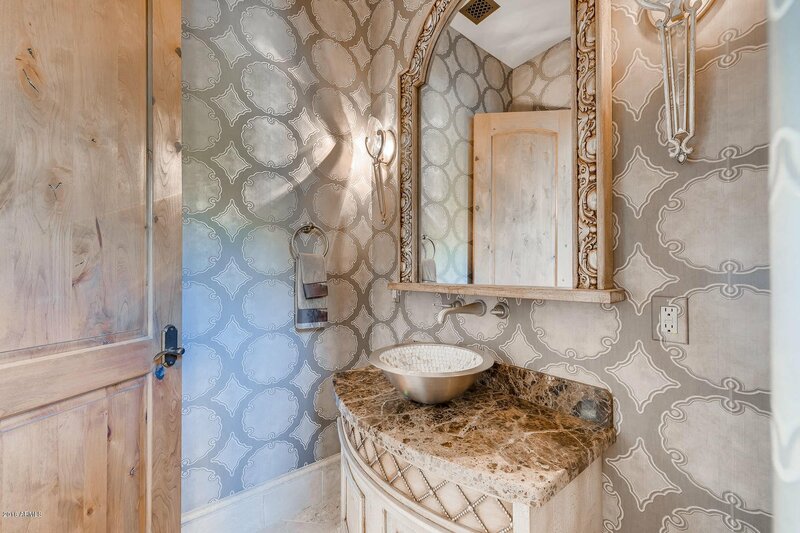 Interior design by Danielle Jacques Design. 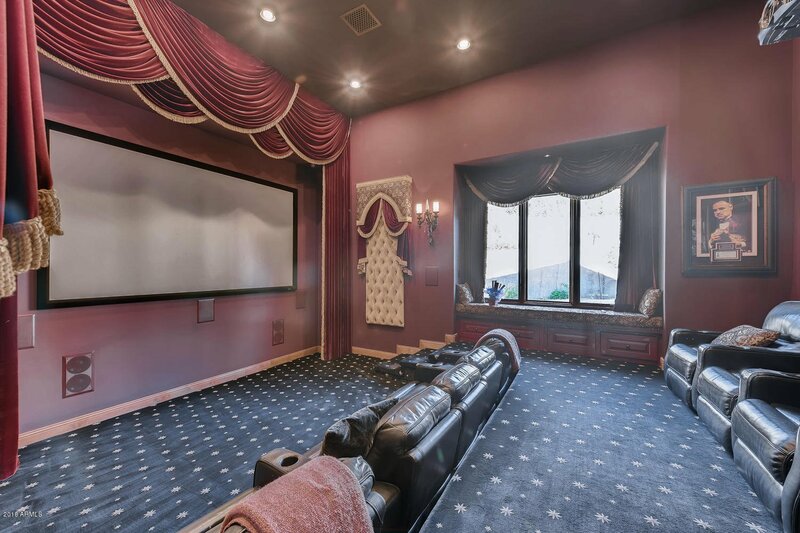 This home is unique, with too many extras to list. 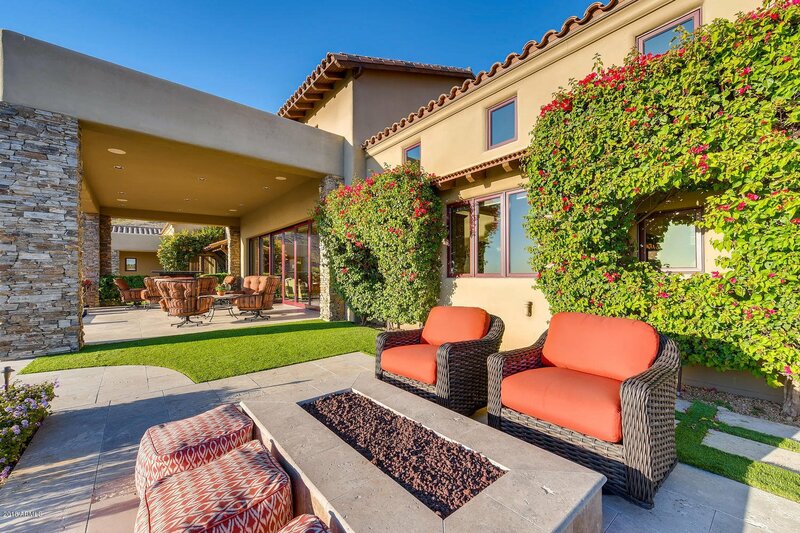 All located in Ancala, featuring private golf course, tennis, heated pool and spa, trails. 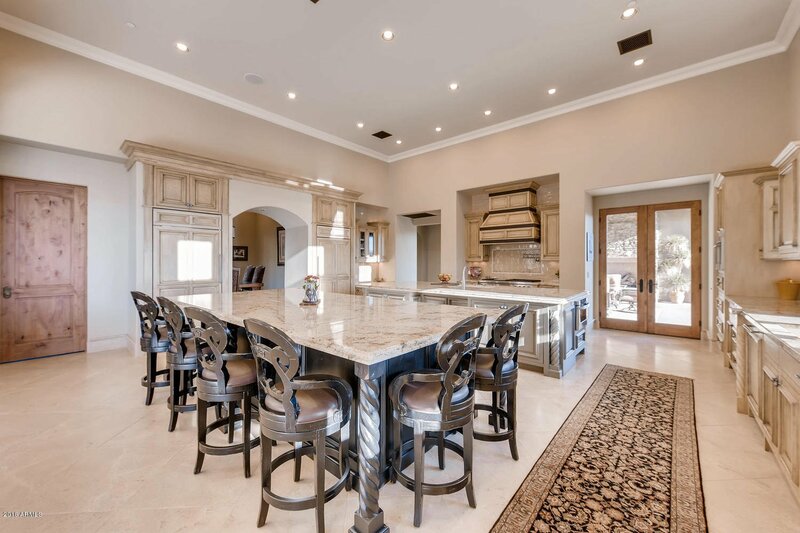 Listing courtesy of Arizona Premier Realty Homes & Land, LLC. 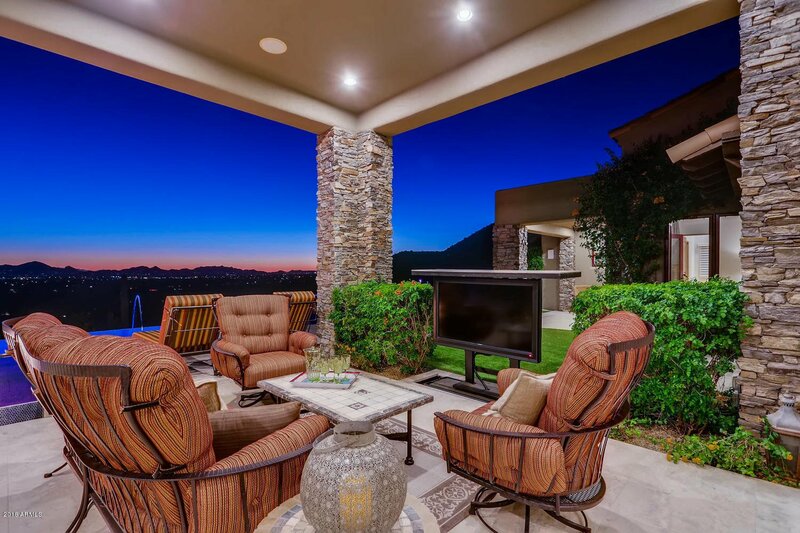 Selling Office: Equity Savers Realty.